The 100th birthday of the National Parks in 2016 has us drooling over the idea of visiting every park possible during this momentous year. With all the wonderful options, it can be hard to know where to begin. We know our fellow nature-lovers are excited to make the most of the centennial, so our Xplore Team expert, Brittany—an expert in the Teton/Yellowstone region—has created a sample 7-day guide through the Grand Teton and Yellowstone National Parks for a summer adventure you’ll never forget. Two of our favorite western destinations, Teton Springs Lodge & Spa and Big Sky, frame Grand Teton and Yellowstone National Parks like bookends, making them the perfect starting and ending points to an incredible national park tour. 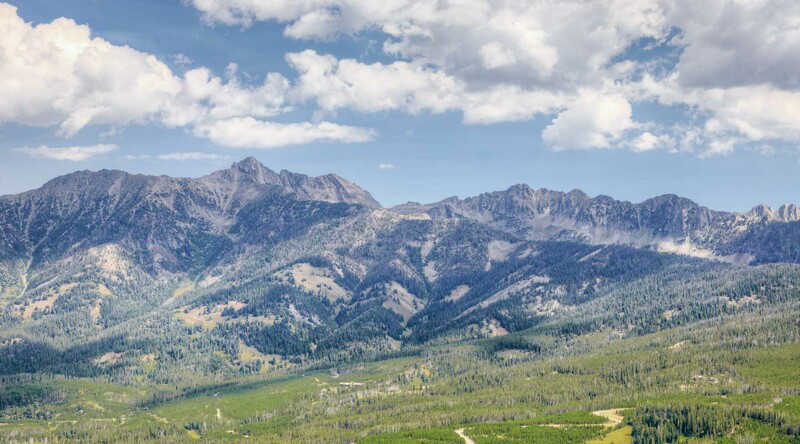 Begin in Teton Valley, Idaho, stopping to enjoy the Lodge’s world-class amenities and accommodations, and make your way through the parks before arriving in Big Sky. Once you’re there, you can experience Yellowstone like a VIP on one of our customized tours through the park. By the end of your trip, you’ll have a photo album full of natural wonders, intimate knowledge of the parks, and family memories you’ll cherish forever. Fly into Jackson Hole for the most convenient access to Teton Valley and settle into Teton Springs Lodge & Spa. On your way from the airport, stop at the National Museum of Wildlife Art, which offers great views of the nearby Elk Refuge and a play area for kids to stretch their legs after a long flight. Before heading into Teton Valley, grab lunch at Snake River Brewing and explore downtown Jackson, a guest favorite in Wyoming. Check in at Teton Springs Lodge & Spa and settle into your luxury suite. Take a dip into the largest heated pool in the Jackson/Yellowstone region, or the hot tubs, while the kids play in the geyser-style play area. Explore Idaho on horseback with the knowledgeable guides of Linn Canyon Ranch. Tee off on the beautiful rolling landscape of Headwaters Golf Course. Guests on a time crunch can complete the 9 hole par-3 course in as little as an hour. A low-key alternative for the non-golfers in the group is fly fishing—the ponds on Teton Springs Lodge & Spa’s property don't require a fishing license, and equipment rental is available at the onsite outfitters. Dine at the onsite restaurant and enjoy the crisp summer breeze on the outdoor patio overlooking the golf course. While you’re in Yellowstone, keep an eye out for hotspots you’d like to explore further—you’ll have a chance to delve deeper into the park on your private tour on Day 5. Start the morning right with breakfast at the Storehouse at the Lodge. The Storehouse can even prepare to-go breakfasts/lunch if you plan on leaving before 7:00am when the café opens. Hit the road for Big Sky, and make the focus of your day a leisurely drive through the parks. Be sure to drive up to Signal Mountain while in Grand Teton for an especially fantastic view, or hike around Jenny Lake. This uniquely western saloon is the perfect introduction to Montana. The Gallatin River, spanning 115 miles from Yellowstone through Montana, offers a variety of waters for different kinds of fun. Let Geyser Whitewater Expeditions take you on an epic journey through Yellowstone on the Gallatin River. Soak in your private hot tub while a personal chef prepares your dinner. A customized tour is sure to be the highlight of your trip, and certainly the best way to savor every last bit of Yellowstone National Park. Our Yellowstone Luxury Tours are completely customizable, meaning that you and your family can take a private trip through the park in any way that you prefer—be it morning, evening, with multiple stops or just one. Yellowstone is your playground today, so enjoy it however you want. You can't leave Big Sky without heading back out to the Gallatin where you can wet a line and try to hook one of its notorious trout. Cast for the famous Yellowstone cutthroat trout in the many fishable areas of the river, which offers access points in Yellowstone and beyond. Reach the summit of Lone Peak on the tram and take in views of 3 states and the incredible mountain panoramas. What better way to say goodbye to Big Sky than to see it from above? Part with Big Sky in the best way possible--with some of the best barbeque around. Return to Jackson for your departing flight. "Don't leave Big Sky without riding the Lone Peak Tram—views like that are hard to come by." No matter the season, a Montana vacation in Big Sky is full of excitement. This little Rocky Mountain town is only an hour away from iconic Yellowstone National Park. Embrace the traditional Western culture under Montana’s Big Sky!